Donate to help animals and people of Pennsylvania. 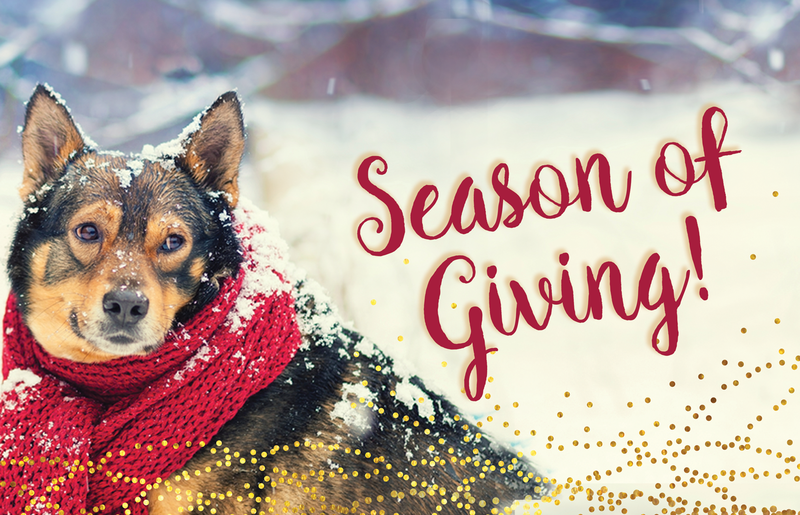 No animal should go without food or veterinary care during this #SeasonofGiving! Help us help them and make a difference today. View the "About Our Funds" section below to choose the program you want your donation to go. Help us raise $20,000 to help the animals and people of PA through our community-based programs. Provide scholarships to veterinary students in Pennsylvania through our Veterinary Students Scholarship Fund. Every dollar we receive is invested directly in operating these core programs that help the animals and people of the Commonwealth. If you're unsure which fund you'd like to donate to, select Area of Greatest Need and PVF will distribute the funds to where it is needed the most. Donations made to this fund will allow PVF to distribute the funds where they have the greatest need. This program is a partnership with Meals on Wheels in Chester County that provides pet food to senior citizens to feed their pets allowing senior citizens to care for their beloved companions. This animal care fund provides much needed treatment for both owned and unowned pets through financial grants when limited or no financial means exist to pay for care. This program continues to be a viable source of support for Pennsylvania veterinary and veterinary technology students enrolled at AVMA accredited veterinary schools and veterinary technology programs who are struggling with significant student debt. PVF is recognized by the Internal Revenue Service as a 501(c)(3) non-profit, charitable organization. PVF's tax identification number and financial information can be obtained by contacting the PVF office. The official registration and financial information of the Pennsylvania Veterinary Foundation may be obtained from the Pennsylvania Department of State by calling toll-free, within Pennsylvania, 844.714.7264. Registration does not imply endorsement. love from Max and Kodiak, 2 of the best rescue dogs ever! We need to help the elderly and disabled feed their 4 legged companions too.